Pen-like non-contact tonometer for IOP measuring! 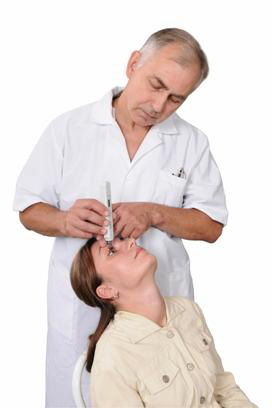 Diaton tonometer is a handheld device that measures IOP through the eyelid & completely satisfies present-day requirements of diagnostic equipment. Method for measuring the intraocular pressure through the eyelid and the device realizing this method are protected by the Patent of Russia № 2123798, United States Patent № US 6,394,954 В1 and Patent of Japan №3593314. Nowadays transpalpebral scleral tonometry has no other alternative in the world. It is the most favourable method to carry out preclinical medical research of the population and , moreover,it works in such complicated clinical cases when it is impossible to use classical tonometry methods. Diaton is a helpful tool for ophthalmologists faced with pediatric patients or who have corneal abnormalities such as corneal edema, erosions or keratoprosthesis.